Entrepreneurship is often considered to be a means to personal wealth creation, but then again, every once in a while, you also come across business propositions that have the potential to be considered national assets. Consider Egypt as an example. While it has been historically hailed as the “gift of the Nile,” the country is today facing a severe water crisis, even as it tackles a rising population. According to a Guardian analysis back in 2015, Egypt is said to be “below the United Nations’ (UN) water poverty threshold,” with the UN predicting that by 2025, the country may approach a state of “absolute water crisis.” Now, if all this is too drastic and negative for you to handle, here’s a ray of hope. 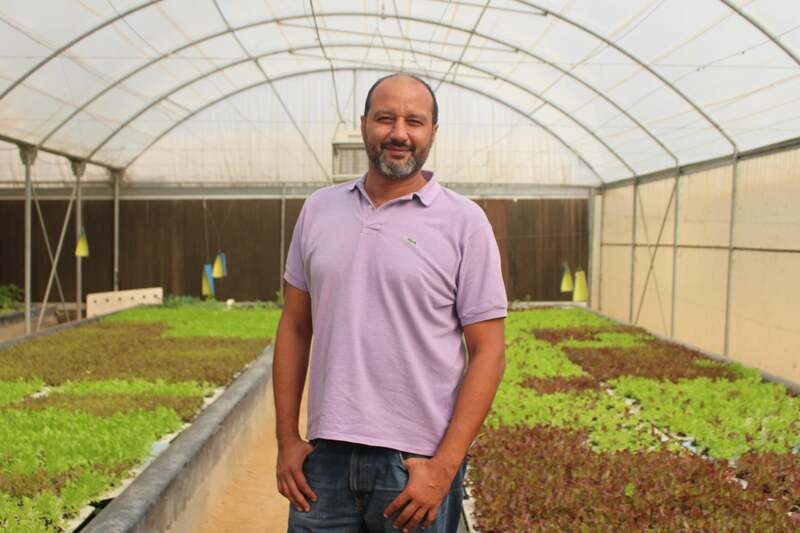 With a strong conviction that Egypt is in dire need of modern forms of agriculture that help in water conservation, food security, and production of clean healthy food, entrepreneur Faris Farrag decided to ease the pressure on the country’s already stressed natural resources by setting up his enterprise, Bustan Aquaponics. Faris Farrag, founder, Bustan Aquaponics. Having launched officially in 2014 (although it had already been operating since late 2011 as a pilot), Bustan, which currently only serves Egypt market, is exploring various avenues of partnerships and private equity funding for expansion into other export markets. Farrag claims that Bustan is today the largest bayleaf salad producer in Egypt, and the company’s farm, which is located just outside Cairo, grows a number of other products on a seasonal basis- basil during the summer, kale, and other leafy greens during the cooler winter months, herbs such as rosemary, thyme, and mint, among other kinds of produce. With sales channels that are both B2B and B2C in nature, Bustan counts many of the top gourmet restaurants and supermarkets in the country as customers, owing to its reputation in the market. “Our major customer groups are high quality restaurants and supermarkets, while also expanding in the home fruit and vegetable package delivery business, through a partnership with another high-quality producer,” says Farrag. While Cairo brings in most of the revenue for Bustan, the company’s products, which are pesticidefree and grown using 90% less water than traditional farming practices, are also available in Alexandria, Hurghada, and the North Coast of Egypt through their retail partners. As an MBA from UK’s Warwick University, having worked in investment banking, private banking, and having also been involved in two architecture and design startups, Farrag’s entrepreneurial move to Bustan was largely fueled by a strong passion to feed Egypt’s growing population sustainably. Besides being an area that’s quite alien to his background, Bustan is also part of a highly capital intensive and niche industry, which is often not the easiest starting point for an entrepreneur. Farrag agrees with this notion, and lists a few key hurdles that he had to cross (and still faces) in running the venture. “Some of the key challenges we face are very tight financial management, cost control, logistics management, employee training and retention, and staying current with new technologies that can help reduce costs and/or increase productivity,” he says. But it’s not just his business’ scale that keeps Farrag awake at night. The agri-entrepreneur is also keen to take the concept of a healthier, qualitative, and more sustainable food production (which is how he believes food consumption everywhere should be) to a wider audience. For this purpose, Bustan also started providing aquaponic farming consulting services throughout the Middle East. “We specialize in desert farming solutions to help build environmentally sustainable communities and work closely with non-profit organizations and culinary institutions to strengthen our local food movement. We have also made a significant push into the sustainable urban development market with a new partnership that is currently in the works,” says Farrag. 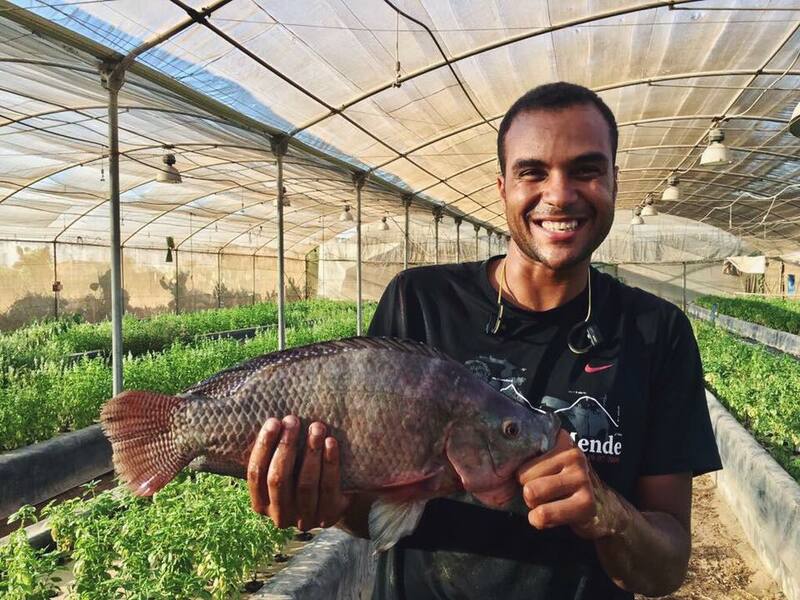 A scene from the Bustan Aquaponics farm. As for specific responses from investors he’s pitched to, Farrag says they vary from “deep interest, to a fear of the unknown. We constantly stress that at this stage we are innovative but not experimental as we have operated the business for some time now, and built a significant brand that is trusted and demanded by our clients.” And Farrag is right when he says that there are just few direct competitors to Bustan’s offerings, as the growth of aquaponics, with the current state of things, tends to be centered around local markets rather than exports. Based on your experience, how would you describe the availability of resources and support for entrepreneurs and startups in Egypt and the Middle East? What are the biggest business management lessons you have learned from your entrepreneurial endeavors?